Even now at full size, my cats could ride around in my purse without a problem. They’re less than 8 lbs each. Look how droopy-sad his whiskers are – I don’t know what was going through his mind. 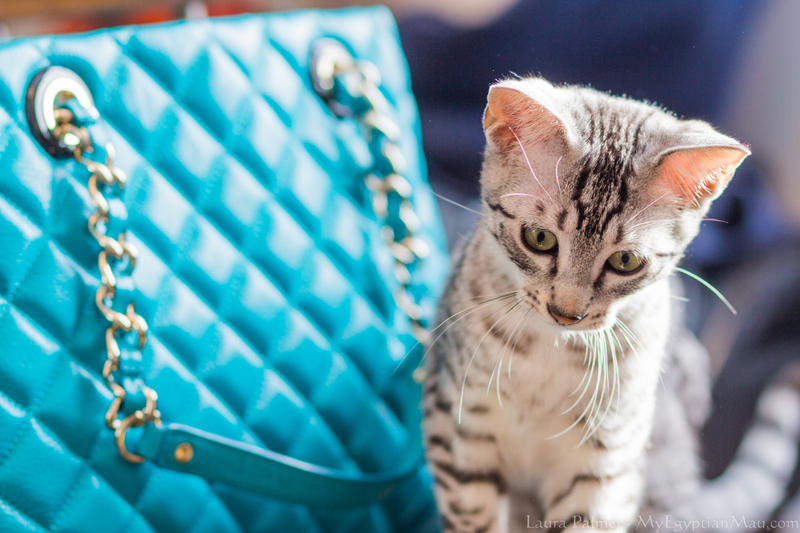 For the record, I’ve never put him in a purse – but Wintermuse actually goes into bags willingly and loves getting carried around in them.